…the city of Boulder, Colorado, is following suit. On Tuesday [May 15], Boulder's City Council unanimously passed a ban on the sale and possession of assault weapons, high-capacity magazines and bump-stock devices -- even while attorneys from a pro-gun rights group threatened legal action. The council did, however, extend an olive branch to gun owners in the form of a grandfather clause: residents already in possession of assault weapons will have until the end of the year to receive a certificate proving prior ownership. At that point, all firearm owners who have proven that they owned their assault weapons prior to the passage of the new ban will be permitted to keep them. Only the purchase of new assault weapons is prohibited for Boulder residents who are not members of law enforcement, government officers or military personnel. 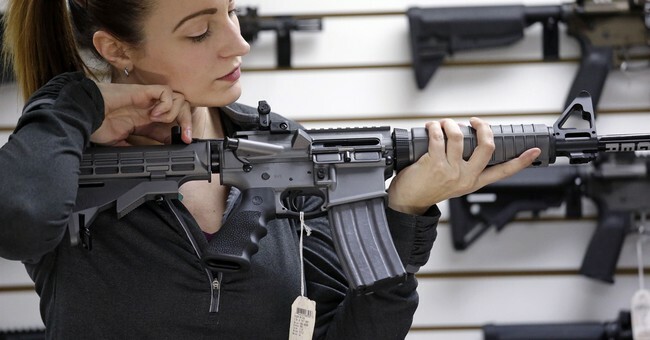 "My hope is that we will see more bans at the state level and one day at the federal level so these weapons will no longer be available," Boulder Councilman Aaron Brockett reportedly stated at the vote. As of now, only the police have the right to issue that grandfather clause certificate to current AR-15 owners. And by high capacity, we mean ten-rounds or more. So, on paper, handguns that hold more than ten, which is not uncommon, are included in this ban. Again, a gross unconstitutional overreach against law-abiding citizens. This is why the Supreme Court needs to step in; it goes beyond simple AR-15s. A host of handguns are now being targeted. Gun owners in these areas have one option: move. And that’s not available to everyone. Carving out areas of America that are hostile or flat out ban gun ownership is as illegal as you can get—and shows the face of the so-called gun control movement. It’s not about safety, or common sense reform, or the sanctity of life, which is rich coming from people who are probably 100 percent pro-abortion. It’s about the repeal of the Second Amendment, gun confiscation, and gun bans. This is why every year the Second Amendment movement has to act as if gun rights are one election away from being stripped. If we sleep, these snakes slither in, trying to poison American civil rights.